The North West UK Kids Fun Duathlon returns to our 2018 calendar and takes place on the Barony Park. 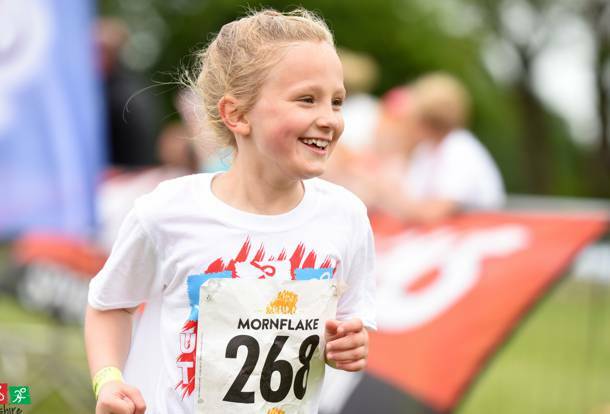 Join hundreds of kids taking part in the North West UK Kids Fun Duathlon where they will be run, bike, running perhaps for charity or just for the fun of it! Set in Nantwich, South Cheshire, just 40 minutes from Liverpool, Birmingham and Manchester, the course is spectator friendly for supporting family & friends and a fun & relaxed atmosphere is guaranteed. We launched this event to encourage more young people to get active. NB: There will be a promotional video being filmed at the event so please be aware of this. Course map not to scale. Run Course 1 will be the start of the Duathlon for all the children (yellow lines). Once they have completed Run Course 1 the children will get their bikes out of the Cycle Transition. They will run or walk to the cycle mount line. They can only get onto their bike once they have crossed the cycle mount line. Once they have completed all their allocated laps on the bike course, they go back into the cycle transition, place their bike back onto the cycle racking in the same place (White lines). The children must dismount their bikes before the dismount line. Then complete their allocated laps on Run Course 2 before going down the finish line (Orange lines).